Our upcoming SBCG (Secure Staking, Slick side BCG) will be incorporating Ned's OCKS. They are indeed the heart of the SBCG (Secure Staking), the Slick side aspect of the SBCG is minor. Sionics will stake the gas keys for us, also using one of Ned's industrial staking machines. 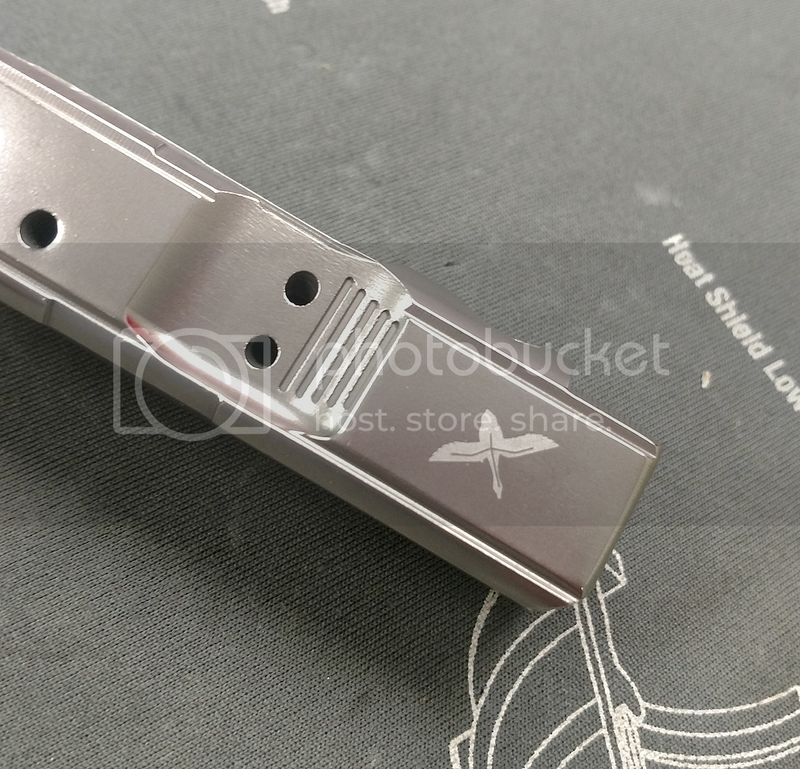 This is an SBCG (Secure staking, Slick Side BCG) prototype. The prototype doesn't have the gas key installed. As stated earlier, the secure staking aspect is the heart of the SBCG. SBCGs will be sent to Sionics to have OCKS installed and staked, also using Ned's industrial strength staking machine. 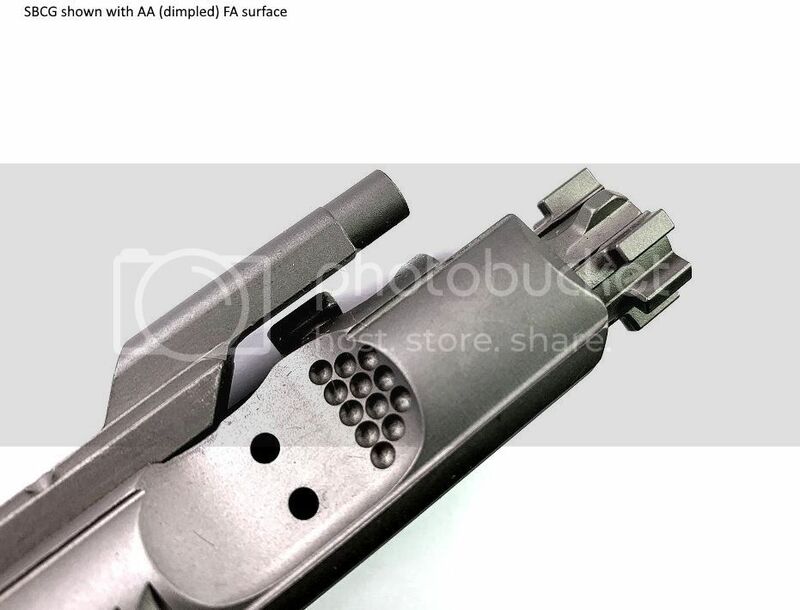 The serrations you see (or might have missed) are the "slick side" portion, for folks with uppers sans a forward assist. 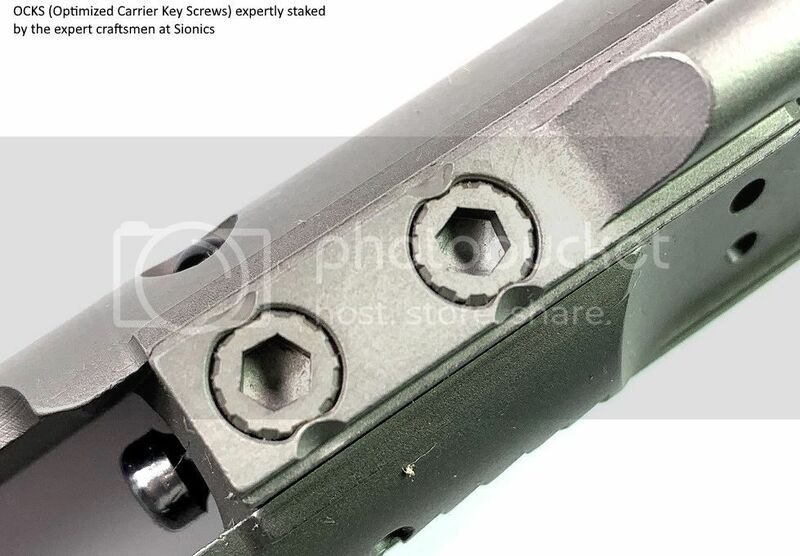 The area forward of the two gas vents can be used to push the carrier forward, the serrations simply make doing so easier than a finger pushing on a normally smooth surface. 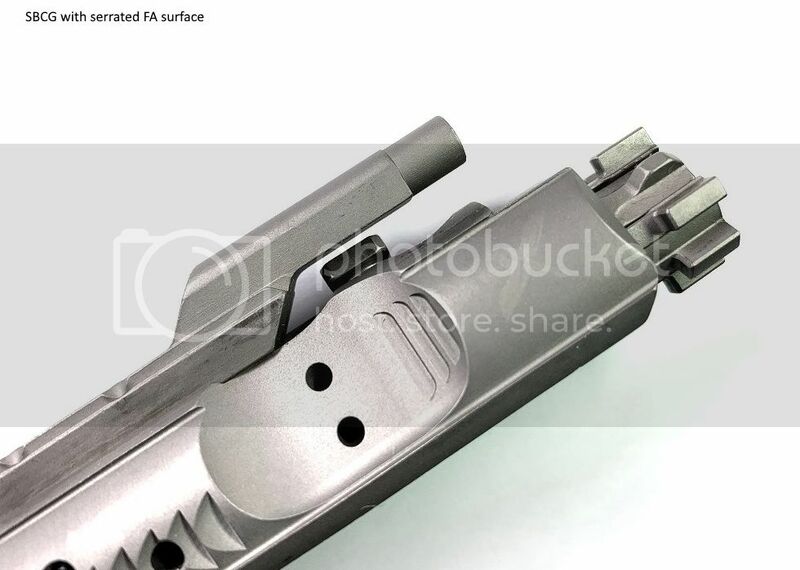 I've downplayed this part of the SBCG, because it is a minor change/improvement, we've seen such implementation on some G3 carriers, and the half moon shape cutout on the UMP bolt carrier serves the same purpose. Despite the assertion that the area is meant to be used as a forward assist, I disagree, I'll need to take this up with Chris Bartocci to get the real answer. It's concave to accommodate the ejection port's spring loaded ball bearing "bump", I don't believe it was designed for a finger to push on it. Nevertheless, it does have the shape to be used in that fashion, so we added serrations to make pushing on it easier. Last edited by Duffy; 11-03-17 at 11:06. A year later, SBCG that uses Ned's OCKS are finally released. I was looking forward to the dimpled version. I couldn't believe how quickly it sold out.